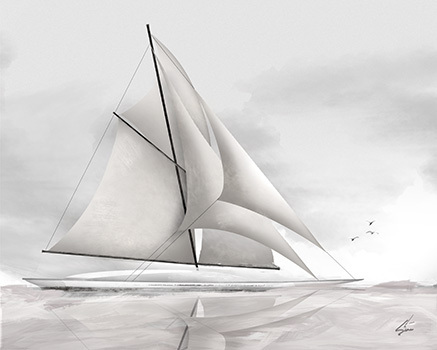 One of my latest personal projects is a grayscale piece featuring an impressionistic schooner gliding with the wind across a glassy sea. Three seagulls have caught the same burst of wind. It is available for purchase in my Etsy Shop.